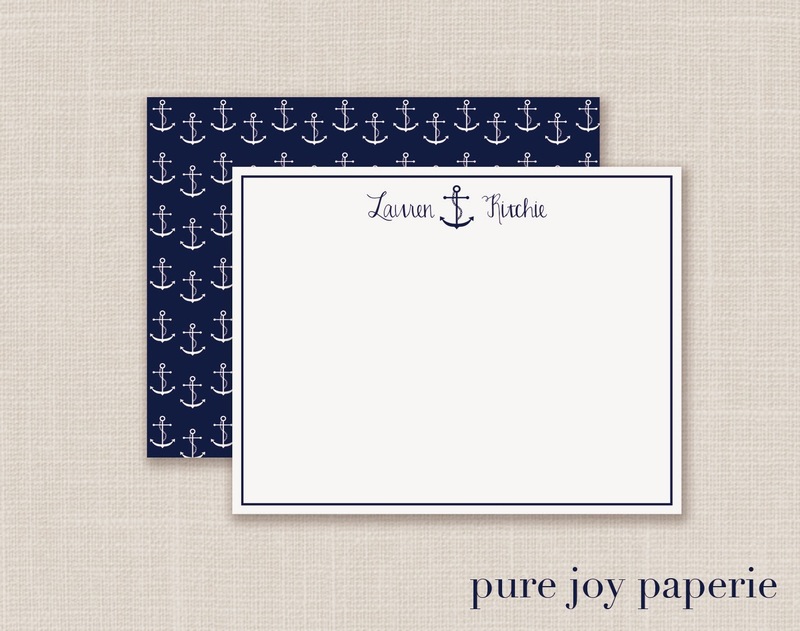 Shorely Chic: New Monogrammed Notecards! Hello Shorelies!! It's been so long since I've posted here but I think about you, always :) As many of you know I've been posting over at Pure Joy Home when I can get breaks from my little guy and keeping up my Etsy shop when I can, too. I came out with some new notecards this season that I thought you all might like so I wanted to be "shore" you saw them! These are super cute! Love them! I found your blog today and love all the coastal inspiration. Can't wait to read more!